Good afternoon everyone! 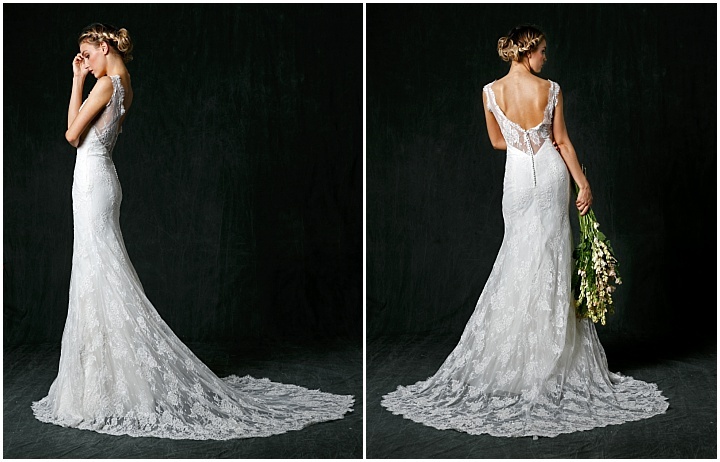 We seem to have had lots of new bridal collections to feature recently, but ’tis the season! 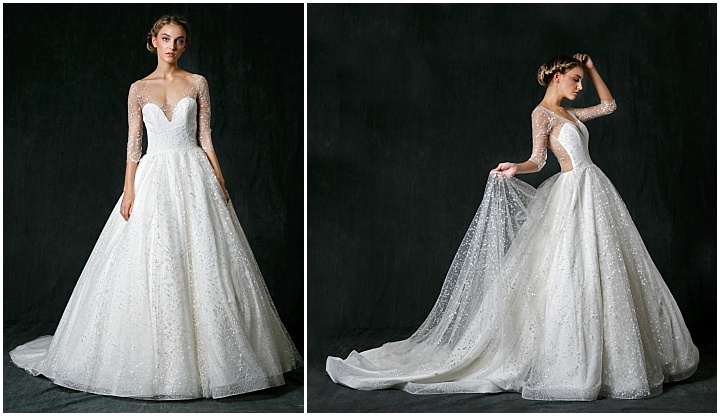 For brides getting married next summer, it’s usually reccomended that they’re choosing a dress about now, and for the brides getting engaged over the holidays there’s plenty of new styles to swoon over! Today we welcome Sareh Nouri who is new to Boho and her beautiful modern and sophisticated new collection. Many thanks to SY Photography for the images. 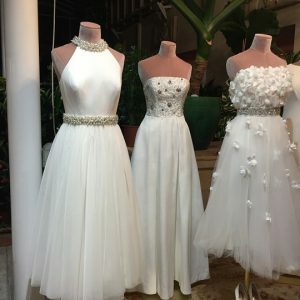 When Sareh Nouri was young, she would have loved it if you’d told her that she’d grow up to design her own bridal collection. 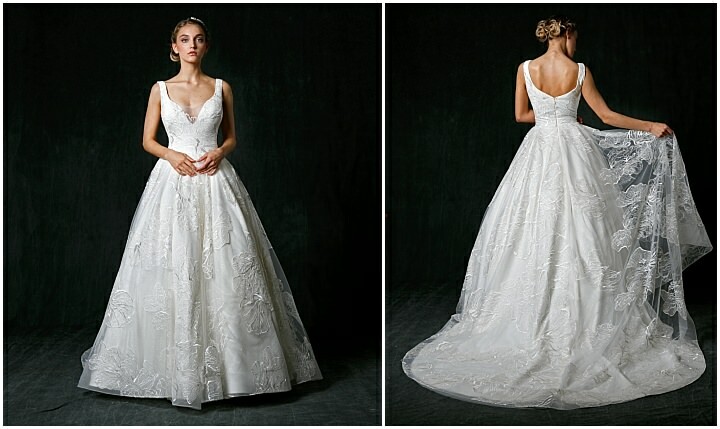 She was enthralled with wedding gowns. 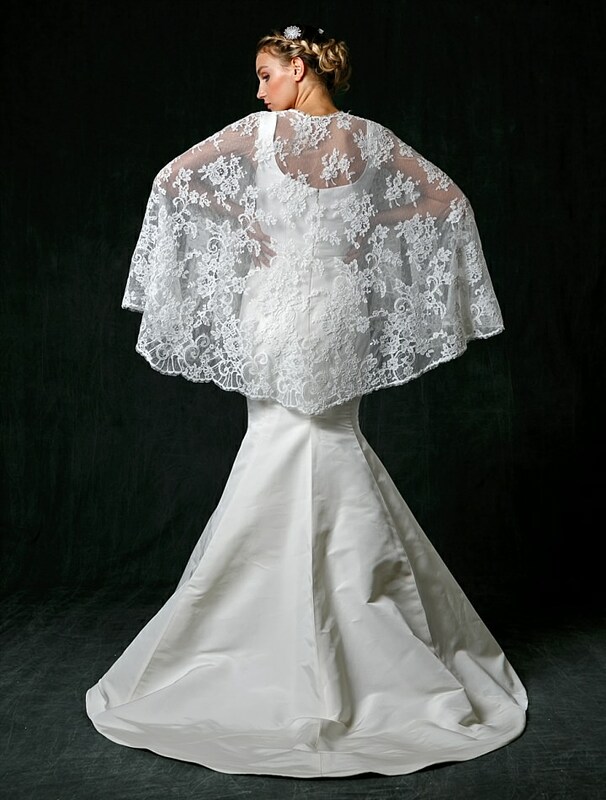 In fact, at her nuptials in 2009, her father joked in his speech about her ongoing obsession with wedding gowns. 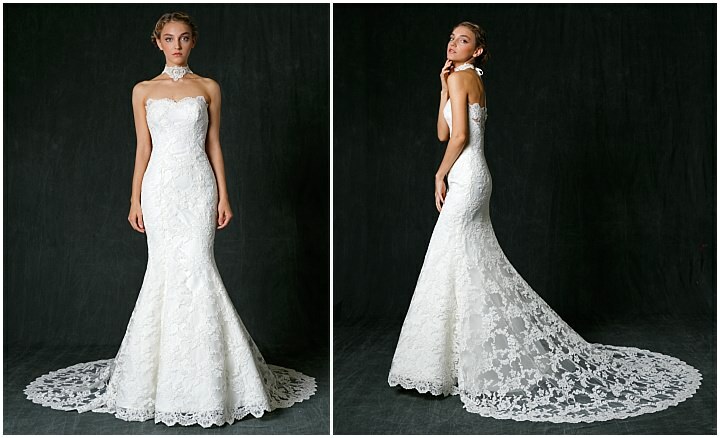 So perhaps it’s fate that the search for her own dress is what really set her down the path to create her own line. 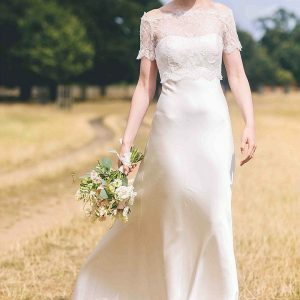 As her wedding day approached, Sareh grew ever more frustrated, for she couldn’t find “the one” — a dress that was at once sophisticated and traditional, ethereal and elegant. In desperation, she decided to design her own gown. Fortunately, Sareh had the background to back up her daring gamble: She’d graduated from George Mason University with a graphic design degree, so she understood how to work with patterns and layouts. A native of Iran, Sareh has been extremely successful in her design career and utilizing traditional Persian art, her work on numerous commercial and nonprofit media ads have gotten her profiled in a number of magazines and books. 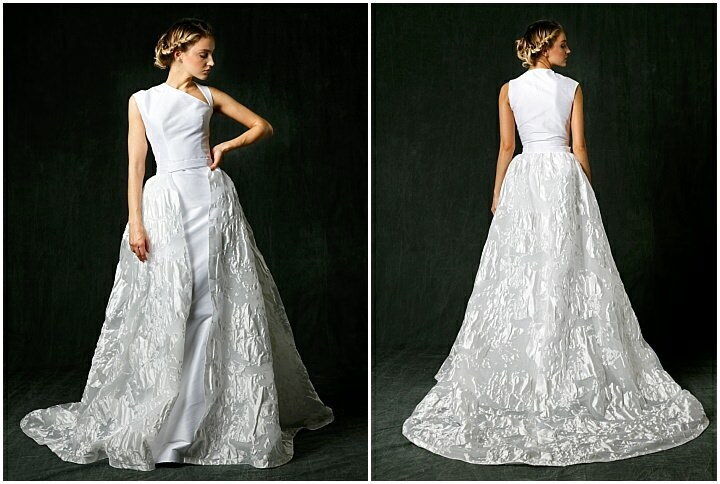 So she wasn’t just able to conjure up a nice dress, she was able to create the dress of her dreams. 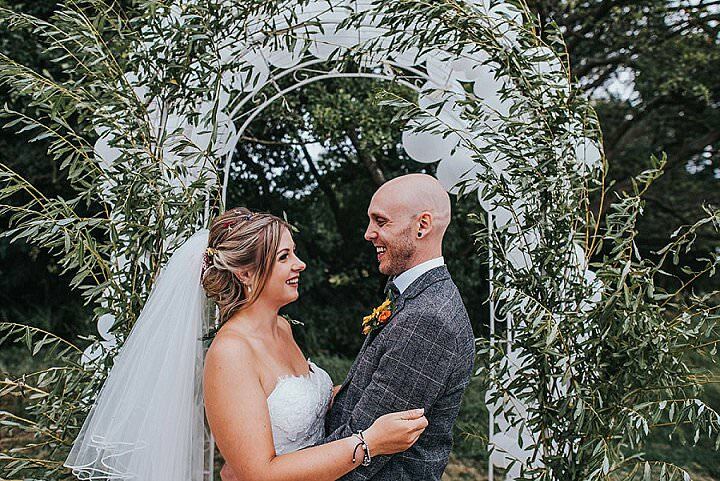 Shortly thereafter, a move close to New York City allowed her to pursue her newfound career and passion in the bridal industry. The newlywed realized that, if she had trouble finding the perfect gown for her sensibilities, hundreds of other brides must, too. 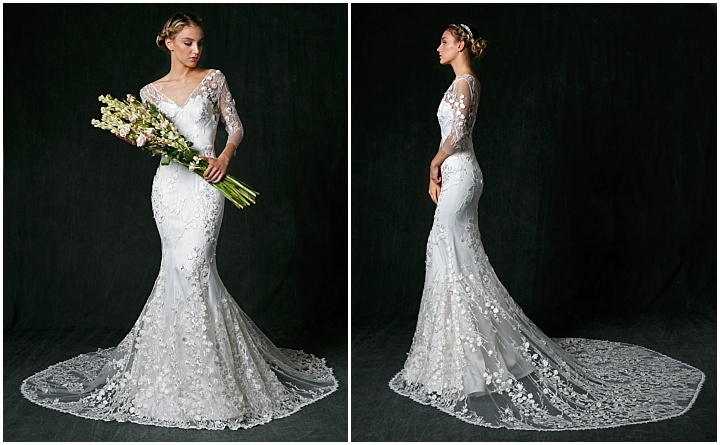 And, following her stints working with a high-end bridal salon, modeling bridal gowns, collaborating with couture dressmakers and consulting one-on-one with brides-to-be, a new business was born. Today she hangs in select US & International boutiques including Saks Fifth Avenue, Bergorf Goodman, and Neiman Marcus. Sareh is proud to unveil her next labor of love and announce the launch of Sareh Nouri Evening. 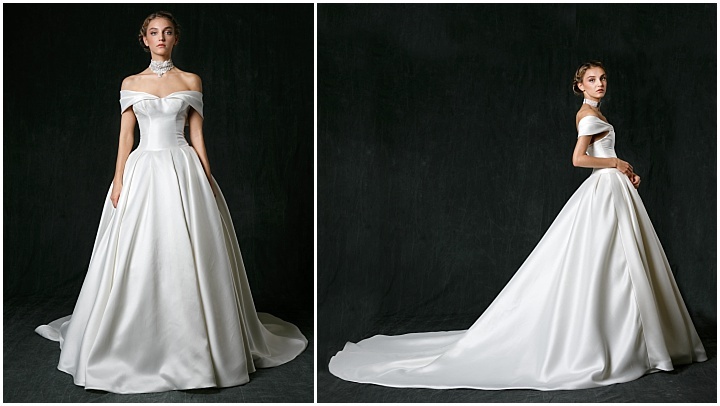 Gowns that are not only romantic and feminine but timeless as well. 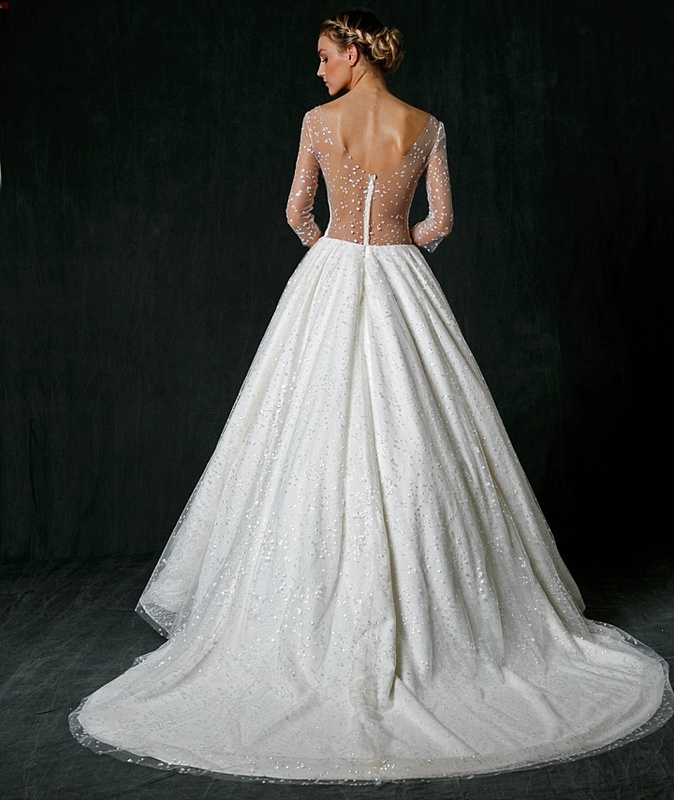 Her couture designs consist of luxurious, fine imported French lace and Italian silk and made in her private atelier in the US. The collection is a truly handmade production that is light, traditional and elegant for today’s modern woman. 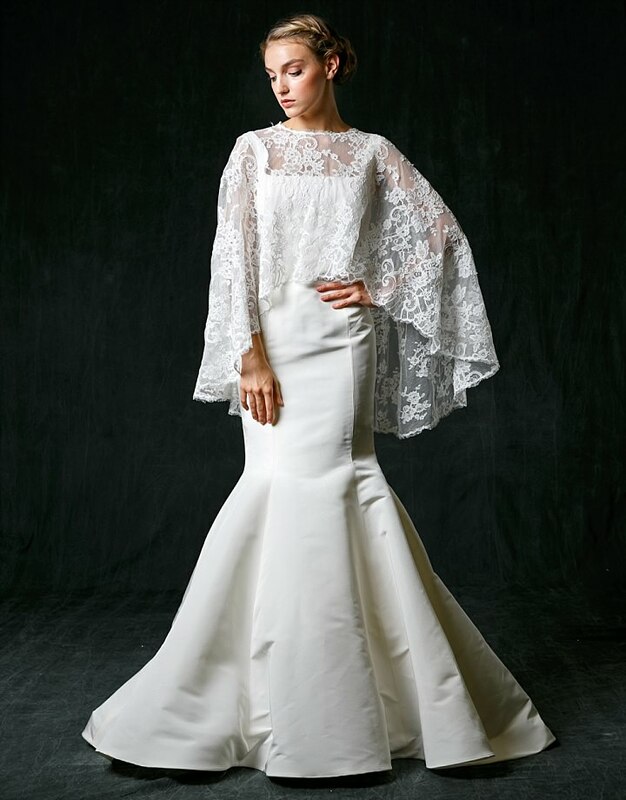 At the Fall Bridal Fashion Week, fashion designer Sareh Nouri, introduced her Fall 2017 collection at The London Hotel in NYC. For this fifth anniversary collection Sareh pulled elements and inspiration from her love of Paris. 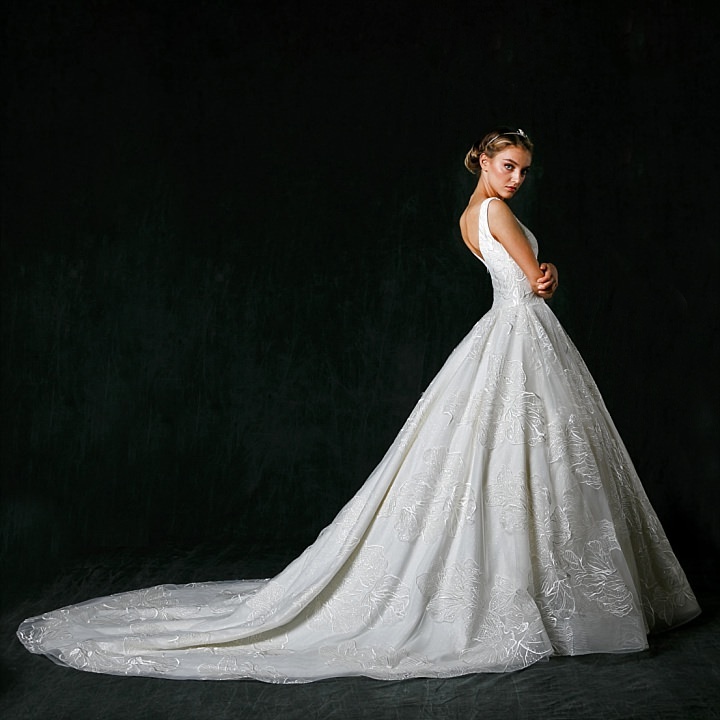 With a history rich in architecture and fashion, as well as being the most romantic city in the world, Sareh has created a chic collection for the modern bride. “The fabrics, laces and patterns that I selected and designed for this collection are reminiscent of this beautiful, modern and sophisticated culture. Paris, ‘The City of Lights’ was forever in my thoughts as I created my new collections” said Sareh Nouri. 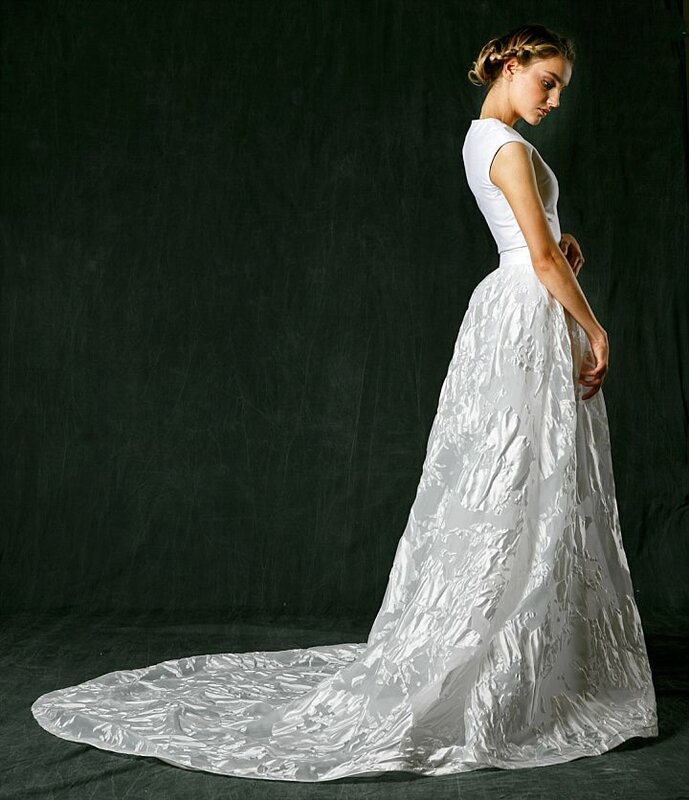 Many elements from her Evening Wear collection which just debuted and was very well received at New York Fashion Week were incorporated into her latest bridal line. 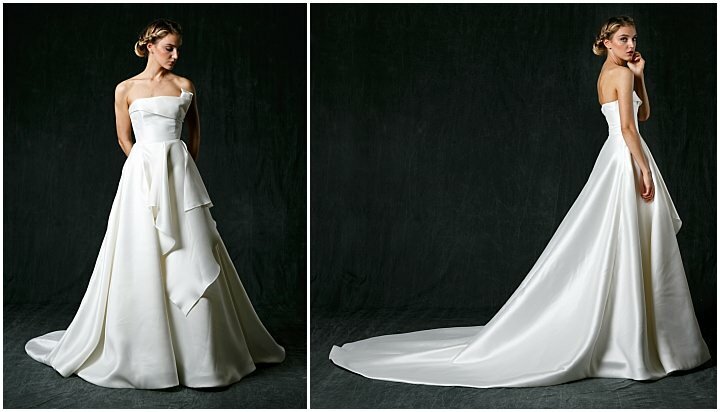 The collection stays true to its mission of light-weight and ultra-luxurious gowns, each with impeccable structure and fit, entirely hand-sewn in the U.S.A. Sareh Nouri’s exquisite Fall 2017 collection captures the essence of chic luxury inspired by traditional design, directly reflecting the designer herself, further setting her apart as a leader in the fashion industry.